Sargent Locks Phoenix | Local 24 Hour Service | Metro Lock & Safe Inc. When you want a diverse range of stylish locking mechanisms for your business and home needs, you want Sargent locks in Phoenix. At Metro Lock & Safe Inc. we’re Phoenix’s premier supplier of Sargent locks, offering solutions for home security, business security, and access control. Using some of the industry’s latest advancements in technology allows Sargent to stay ahead of the curve on every front. Their aesthetics ensure that you can have beauty and security in one package. Our installation guarantees perfect functionality and seamless design. We’re your comprehensive source for Sargent locks in Phoenix. That’s because our staff of highly trained, knowledgeable experts know security inside and out. If you aren’t sure what the right security solution is for your property, we’re happy to help you identify your needs and determine which Sargent product best suites them. That’s because their wide range of diverse products makes Sargent locks the perfect choice for nearly any application. Access Control – When you want the best in access control, Sargent locks in Phoenix provide. Options include standard keypad and lock combinations, offline motorized locking options, and a robust line of RF enabled Bluetooth security solutions. With multiple programming variables including passage, panic, and standard mode, these are great options where ease of use and security are high priorities. Padlocks and Deadbolts – Deadbolts and padlocks from Sargent are made using the highest grade materials and smooth finishes. With impressive ratings for force and advanced locking mechanisms, these are a great choice for secondary or primary security needs. We even carry Sargent padlocks with multiple keyways. This allows for a tiered key systems in addition to integrated functionality with a master keypad system. Key Systems – With variable key systems, Sargent locks in Phoenix provide users with exactly the right amount of security. 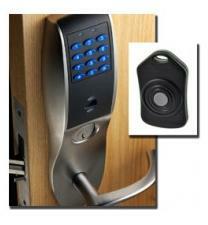 Three levels of protection guarantee only those who need access have it, with a master key allowing complete access. Many Sargent locks also contain removable cores, making security changes even easier. Unique key design makes duplication incredibly difficult, and enhanced components are built tough. Specialty Locks – When you need gorgeous, functional, and stylish security, the Sargent line of specialty locks delivers. In a beautiful steel finish, these are perfectly suited for hospitals and other related health care facilities. This line of specialty locks is made to withstand almost anything while providing the enhanced security you need. MicroShield Technology – We provide the complete line of Microsheild treated Sargent products. This treatment puts them at the forefront of health at home and in the workplace. 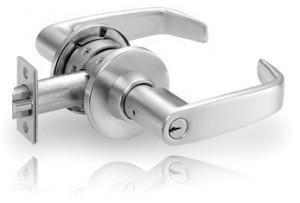 Many Sargent locks in Phoenix and hardware devices are treated with an antimicrobial coating. This drastically reduce bacterial growth compared to non-treated hardware and lasts the life of the product. We provide consultation, direct sales, and installation of Sargent locks all at an affordable price. Our technicians are happy to walk you through features as well, ensuring you know exactly how to take full advantage of everything your new Sargent locks have to offer. If you live in Phoenix, Sargent locks may already be installed in your home or business. We also provide repairs and replacements for existing locks. When you want friendly service, knowledgeable sales, and professional installation with some of the best deals on Sargent locks in Phoenix call (602) 663-9828 or Contact Us today.